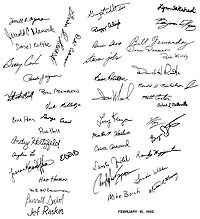 Thanks to avid Mac and Lisa document collector David Craig for providing us this image of the signatures included in the interior of the initial 128K Macintosh case. These signatures were molded into the case and included here (gradually disappearing) for several generations of Macs through to the SE. 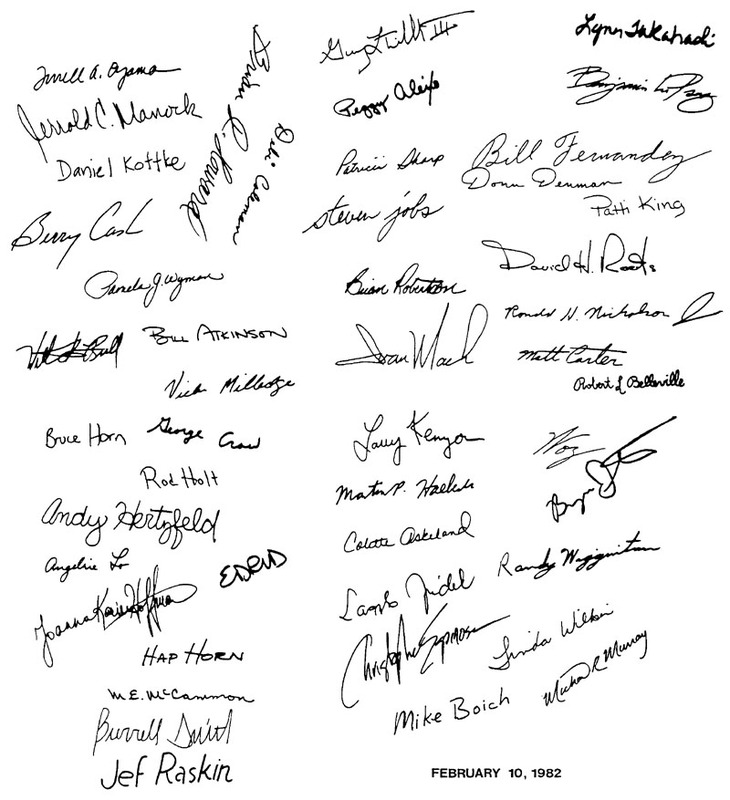 Rumor has it that Steve Jobs' signature was displaced by a power plug on the SE model. The Mac II and other Macs with case designs different from the 128K did not carry any signatures inside. Curiously, this document is marked "February 10, 1982" which may indicate that it is an early capturing of team signatures. It would be interesting to see "who made the cut" in the final case. Click here for super hirez view.